Info Products – A GOLDMINE for eCommerce Shop Owners! There’s a misconception out there that these two business models – physical products and information (info) products – should be run separately. Well, let me tell you now – that’s absolutely NOT TRUE! You can take the best of both worlds and run them simultaneously. And actually, adding some info products to a physical products business can be a fast and easy way to increase your sales and profit. In this blog post I’ll show you exactly how to do this. 1) Mixed – you sell both physical and info products and they generate equal profit in your business. A classic example of this would be a shop selling beauty or craft items but also offering classes/courses or selling home-study materials on the topic. 2) Info product led – you sell mostly information products with some occasional physical products. For example Beachbody.com, their primary income comes from selling various fitness info products (DVDs etc.) but they also sell fitness equipment and supplements. 3) Physical product led – you sell mostly physical products and use info products as a lead generation tool or even sell an eBook, service or how to guide along with your physical products. An example of such a business model would be Amazon! The majority of their income comes from physical products but they also sell digital products such as music, eBooks and videos. The last model will apply to most eCommerce Shop owners and is by far the easiest to integrate! 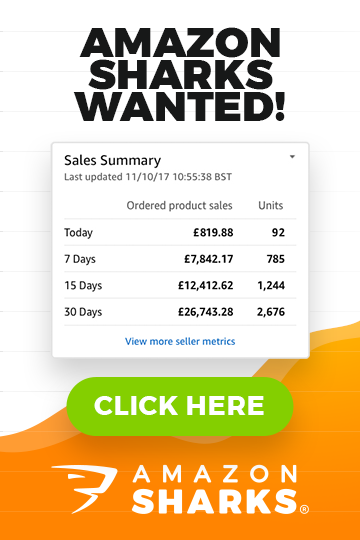 You already have a shop (or plan to build one), physical products to sell and all you need to do to increase your profit is add some sort of highly valued information product you can make massive profit on. * Offering an extended warranty – while not “technically” a pure info product, this is still an intangible product you can offer in your shop to make extra revenue. Obviously, this comes with a cost as you have to factor in the amount of warranty claims you’ll receive and the cost of covering them but still, studies show that extended warranty sales actually account for a large portion of major offline retailers’ profit, such as PC World. So why not follow what the big boys do and offer the same in your business? You can easily integrate such a strategy into your shopping cart by simply creating an extended warranty as an added option people can select before checking out. * Sell install/assembly services – again, this is a service and not a pure info style product but still – in many niches, especially local ones, you can make tonnes of money by up-selling installation service for products you sell. And the best part is you can make this a totally passive income by outsourcing the actual work. For example, you sell bath tubs – obviously many people would be interested in an installation service for a product like this… furniture would be another great example, and the same goes for all kind of machinery (business/craft/beauty etc.). What you do is make an arrangement with a local handyman, plumber etc. and split the profit 50/50, 70/30 or whatever you can agree on. Basically, you act as a middle man between your customer and the installation service provider and take your cut ‘hands-free’. * Sell a DVD/Video/Printed guide on how to install/assemble the products you sell! This is a cool trick and really works a treat! Just create a simple video, put it on a DVD (using services like Kunaki.com or similar) and up-sell it to your customers for 10-30 quid. You’ll be amazed at how many people select this option! The more complicated the item is, the higher success rate you’ll see. If you don’t want to bother with physical DVDs, you can simply host this video online on YouTube, make it private and simply send a link to customers when they purchase this up-sell from you. 100% profit 24/7! If you don’t send out a physical DVD, price this accordingly – £10 to £20 should be a general guide. Furniture, household items, business and leisure machinery, electronics and many more niches are perfectly suited to this strategy. * Sell a guide on how to better use the item – this will be a prolonged version of the previous concept. For example, you sell RC planes – an instruction manual on how to put the item together and use it is one thing but you can actually go further and create a DVD (works best) on how to make the MOST out of that particular item. Continuing the example of RC planes – you could get a local RC model master, contest winner or similar and create a video with tips, tricks and trade secrets on how to become a professional RC plane pilot. This works very well in hobby niches as everyone wants to be GOOD at what they do and hobbyist are always looking for ways to improve their knowledge or practical skills so they’re perfect for such up-sells. * Create a home study course on the niche you work in. This goes even one-step further – instead of creating info products highly related to one product you sell, create a home study course that covers the whole niche or at least part of it. Courses like these can sell like hot cakes all day long, especially if you’re a true expert in your niche and can create highly valuable, professional info products. * Sell already published books on highly related topics! This is very simple to implement – just buy in wholesale books/guides/DVDs highly related to the products you sell and add them to your shop. If you sell fitness equipment; add fitness DVDs and training programs. If you sell hunting equipment; add hunting/shooting how to guides/DVDs, and training programs. If you sell cookware; add cookbooks and cookery DVDs. There are many more ways and concepts to introduce information products into your physical products business but these 5 are the most popular ones. I just want you to see that you CAN make more money by up-selling information/services in almost any niche! These do not apply only to hobby/craft niches, far from it – you can come up with an angle in almost any niche and use info products to increase your bottom line! Selling is only one part to this though – and in many cases it’s actually not the best way to go. Quite often, info products can be used best as GIVEAWAYS to increase traffic and conversions to your shop. And this is something anyone can implement in any eCommerce business! The concept of giving away valuable information is a very simple way to build relationships with your potential customers, increase perceived value for the items you sell and at the same time establish that expert status in the niche you work in. Remember though – the information you share absolutely must be the highest quality, THE BEST! If there are 10 books on the subject already written, you would read all of them, take the best from each one, and add even more useful information from your own knowledge to ensure you’ve created the BEST information source for your customers. There’s really no point long term in just re-writing someone else’s content and adding nothing valuable. What you want to do is create your own, unique piece of content that is valuable, interesting and solves a problem. When you do this, people will really “connect” with you and buy whatever you’re selling without any hesitation. * Run a blog! The classic way of sharing valuable information and at the same time interacting with your customers. You can start a blog completely for free on WordPress.com, Blogger.com or any other similar platforms and start publishing information straight away. There’s really no excuse to not run a blog alongside your eCommerce Shop or even eBay business. * Exchange information for email addresses. This is another highly popular strategy you can use – create a piece of information (article/how to guide/video/eBook etc.) and give it away in exchange for a customer’s email. You can set this up using an auto responder service such as MailChimp or AWeber and the software will take care of this for you, hands-free & 24/7. What’s the main goal here? Again, pre-sell your products/company, establish a connection and show off your expert status. This will work almost as soon as people go through your info product. Later on of course you’ll use the data base of all these emails to send out promotions, special offers you’re running in your shop, new product announcements etc. So effectively, you’re giving away a piece of high quality information to be able to later on contact these people with promotions. * Publish a weekly/bi-weekly/monthly newsletter filled with high quality information. A slight twist combining a few of the previous concepts, with this you create a valuable and regular newsletter people can subscribe to for free. This will work best in hobby niches or niches where the topic/products have a strong fan base – for example, video games. If you do decide to create such a newsletter, make sure it goes out on a regular basis. Be it weekly, bi-weekly or monthly but it must go out regularly! Bi-weekly or weekly will work best for most niches as the monthly option is simply too long (people will start forgetting about you and mark your emails as spam). Again, all you really need to create such a newsletter is an account with AWeber, MailChimp or any other auto responder service. * Add info products directly to product pages. It could be a simple PDF, video or podcast that covers the use of the item. Something that your customers will feel is valuable and will help them make that buying decision more easily. If we go back to our example of RC planes – creating a real life video on how the plane flies is the best thing you can do! Everyone loves to see an item in ACTION before they buy it! This strategy will not only increase your conversion rate but also act as a link magnet – people will start to share your product pages on social sites, forums and websites which will result in high quality back links as well as direct traffic. * Publish a free Kindle eBook! If you like writing, you could do an eBook on a hot topic in your niche and give it away on Amazon’s Kindle marketplace. In the book you’ll of course pre-sell customers and promote your company and the products you sell. The very same concept can be applied to iPad magazines as now there are platforms out there that let you publish high quality iPad magazines without leaving your home. You can do one or all of these tactics and even combine them with selling information products as well – the sky really is the limit here! A classic combination would be to have some kind of quality information on the product pages themselves and also sell a DVD on how to make most out of the particular product. And the extended warranty option can also be applied to almost any niche. Depending on the niche you work in, choose the format that is most suitable for your target audience. While young people may be more attracted to videos or mobile apps, seniors may actually prefer reading a lengthy PDF document on the topic. You know best who your target customer is, where they hang out, what type of information they consume – just follow what works, there’s no need to try and reinvent the wheel here! These strategies not only increase your sales BUT also allow you to stand out from the crowd and position yourself as an expert in the niche! This is something so many people lack these days – they create a business with no FACE, with no PERSONALITY and expect people to go crazy about it! Give people a reason to buy from you! Be an expert, share valuable information and be helpful to your customers. It’s really not that complicated when you work with products you’re truly passionate about. Most of these strategies can be applied to eCommerce shops as well as eBay (with some limitations). You can always find an angle to integrate information products into your existing business so there are no excuses not to do so. Start with something – just one thing, and see how it goes. Create a video on how to use an item you sell – that would be a good starting point. And please don’t tell me that you can’t do it – YOU CAN! Pick a media form that you’re comfortable with (writing/video/programming/audio/visuals) and just do it! 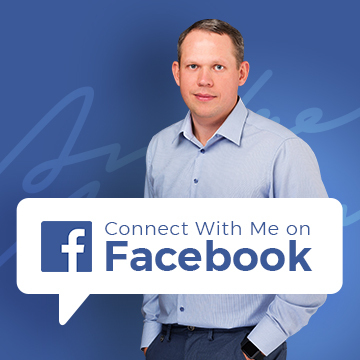 If you have any questions on how to best implement information products into your existing business, feel free to write them below this post, in the comments box. SIMPLE Custom Pages For Your eBay Shop!